What's the best way to learn yoga? With animals With Yoga Bear, the second in our yoga board book series, little ones are invited to move, breathe, and play along with jungle animal friends--all while discovering just how fun yoga can be. 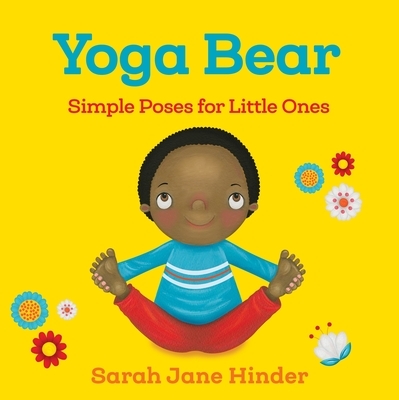 Writer and illustrator Sarah Jane Hinder presents a fun, easy-to-learn yoga flow for babies, toddlers, and other early readers. With Hinder's colorful and expressive illustrations as a guide, join Bear and his friends--including Monkey, Tiger, Sloth, and Crocodile--on a romp through 10 authentic animal poses. Sarah Jane HinderSarah Jane Hinder, illustrator, creates acrylic artwork for a variety of children's books, including Good Morning Yoga, The Three Little Pigs, and The Elves and the Shoemaker. She lives in Manchester, England, with her husband and two chihuahuas. See sarahjanehinder.com.